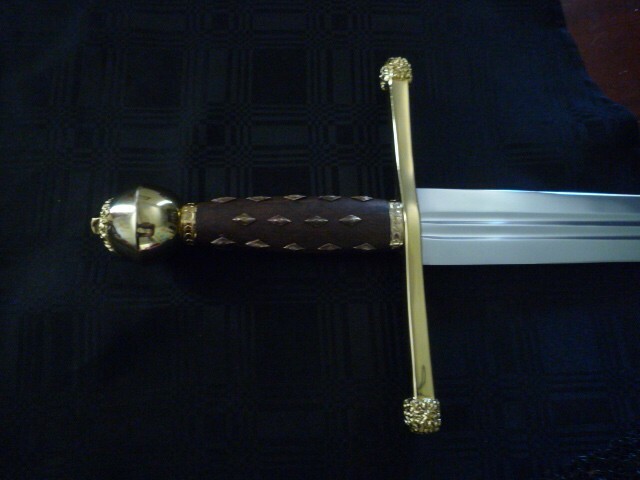 This stunning sword captures all the elements of a sword fit for a king. 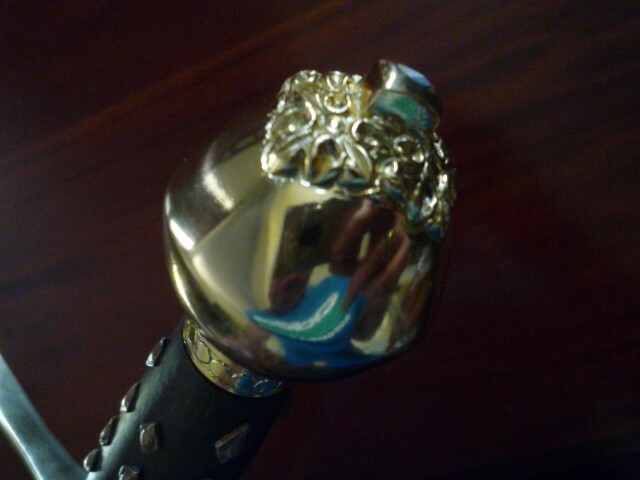 Has striking gold plated guard and pommel. 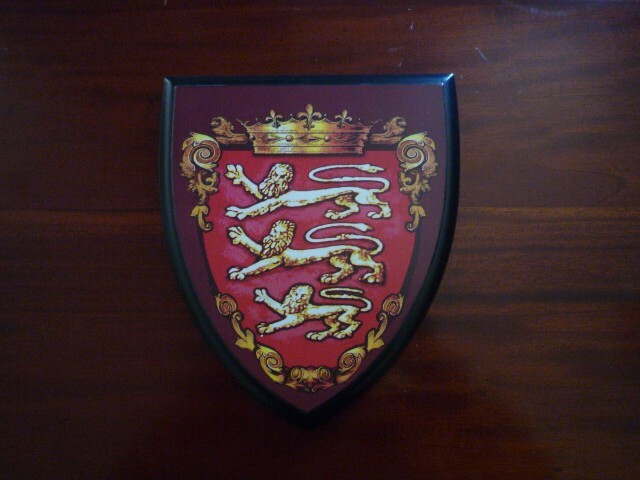 Comes with a wall plaque that has King John’s coat of arms within a shield design. 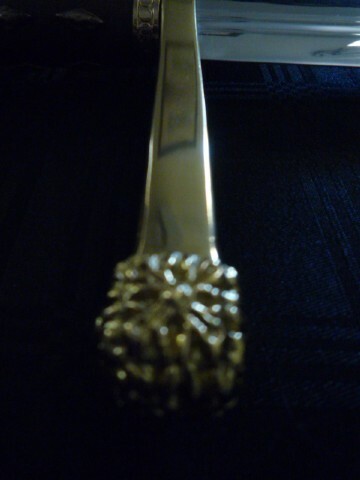 Blade 84cm x 5cm made from high carbon steel. Must have for the collection.